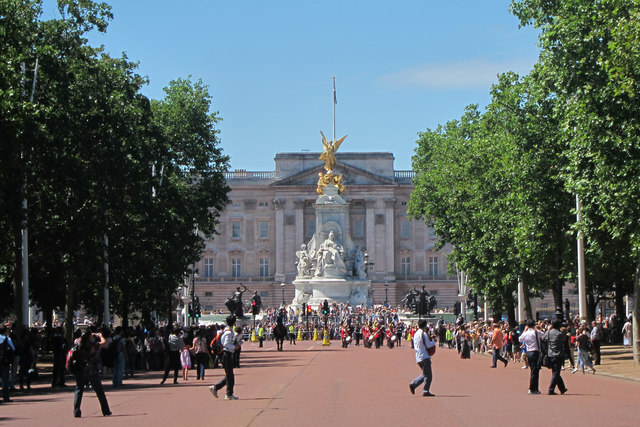 One of the most famous buildings in the world, Buckingham Palace is the London home and primary residence of the British monarch. The grade I listed Link is located in at the end of The Mall. One of the most famous roads in the world, the 1km straight road runs between Buckingham Palace and Admiralty Arch near Trafalgar Square. The surface of the road is red, to give the impression of a red carpet leading to Buckingham Palace. This page has been viewed about 247 times.